Providing specialist research and consulting services for fundraisers and grantmakers in Australia, New Zealand and the Asia-Pacific region. Providing specialist research and consulting services for fundraisers and grantmakers in Australia, New Zealand and the Asia-Pacific region. 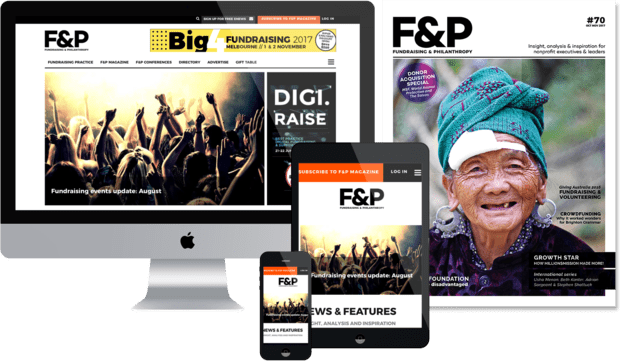 Fundraising Research & Consulting (FR&C) is the only independent experienced provider in Australia of prospect research and data screening services , combining in our key personnel extensive fundraising experience as well as research expertise. We offer our unique Wealthscan™ data screening service to help charities, schools, universities and hospitals to find the hidden potential for high-value gifts in their own databases , and consulting services to help them to realise that potential from their donors. Our best advertisement is the things our clients say about our services, such as:- “FRC’s data screening unearthed a huge amount of potential value hidden in our supporter lists; several of the supporters they identified for us are now great prospects for six-figure gifts. It is hugely valuable for anyone serious about major gift fundraising”.